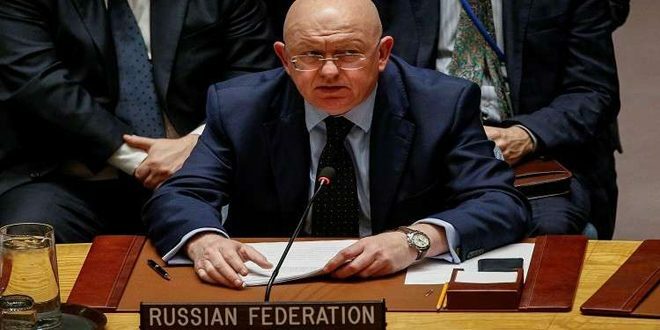 New York, SANA – Russia’s Permanent Representative to the United Nations Vassily Nebenzya stressed that any decision on Syria should to be taken by the Syrian people themselves without any foreign intervention or dictates. Addressing the UN Security Council meeting to discuss the situation in Syria, Nebenzya underlined the success of the Syrian National Dialogue Congress recently held in Sochi, considering it a fundamental step towards restoration of security and stability in the country. He pointed out that Sochi Congress has brought together over 1500 representatives of various Syrian political forces and opposition groups, noting that this unprecedented participation proves once again that the Syrian people themselves should take the lead and decide the fate of their country without any foreign intervention. 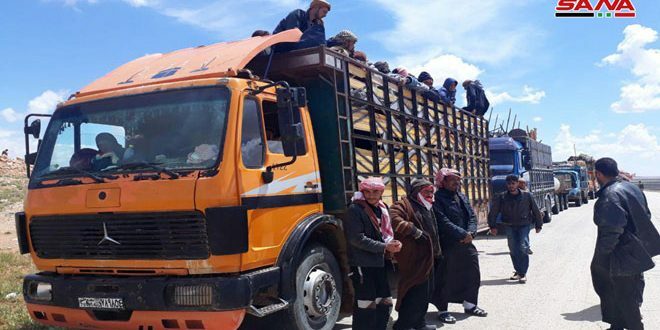 He regretted some states’ acts in holding separate talks with the Syrian opposition groups outside the framework of Sochi Congress, adding that this small group continues its destabilizing activities and prejudgments of Geneva talks which contradict UNSC resolution No. 2254. 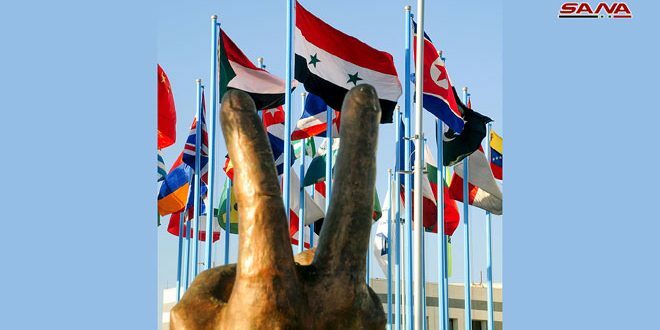 Nebenzya referred to the 12-point final statement adopted by Sochi Congress participants, the most important of which is the respect of the sovereignty, independence, territorial integrity and unity of the Syrian Arab Republic, non-intervention in its internal affairs and respect of the Syrian people’s right to determine the future of their country. 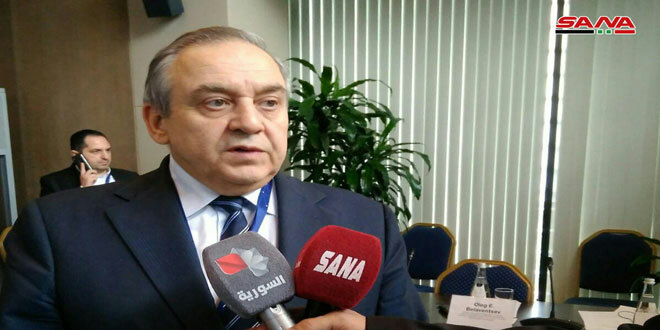 The Russian diplomat said that a misleading media campaign has been launched against the Syrian National Dialogue Congress in Sochi, referring to the US representative’s new groundless allegations leveled against Russia. He added that Russia has repeatedly called on the US and other partners in the international coalition to exert pressure on “the opposition” to halt their aggressive, provocative and violent acts. 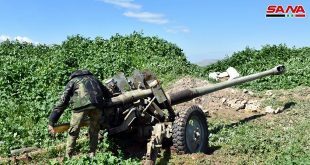 Nebenzya stressed that the western campaign which accuses Syria of using chemical weapons had no basis, adding that some parties continue to hinder the political process serving personal purposes. 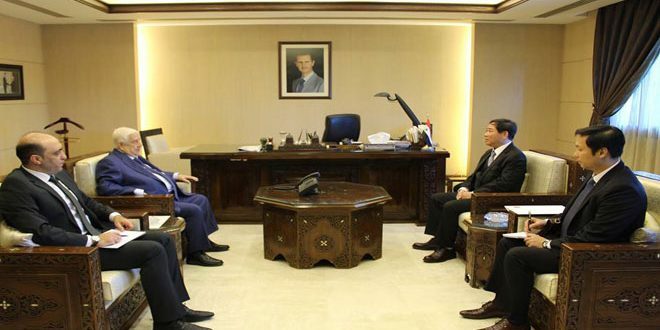 For his part, Permanent Representative of China to the United Nations, Ma Zhaoxu reaffirmed the need to respect the Syrian state’s sovereignty and territorial integrity and continue to fight terrorism. 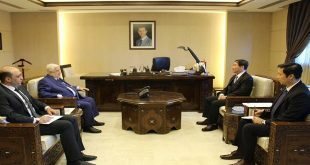 He added that the Syrian National Dialogue Congress in Sochi forms an essential step towards a political solution to the crisis in Syria and gives positive momentum to Geneva talks. 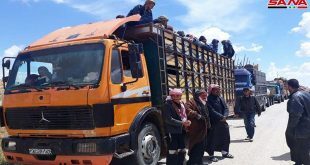 The Chinese diplomat called on the international community to support Geneva and Astana talks as well as the de-escalation zone agreement to reach a Syrian-Syrian solution to end the crisis in the country, reiterating China’s support to the UN’s efforts to make an advance in the political process in Syria.